We have a wide range of web design clients, a few of which are listed below. Please feel free to browse the following sites and view our work. If you would like us to quote for any web design work, please contact us with your requirements. 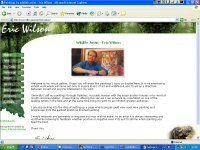 Eric Wilson has established himself as one of Britain's leading wildlife artists, a multi-award winner whose paintings are now widely collected throughout the world. Our design team has based the site's border and navigation around one of Eric's oil paintings called 'Quetzal' where he captures the atmosphere of a Costa Rican Rainforest. Eric uses the site to assist selling prints of his work. 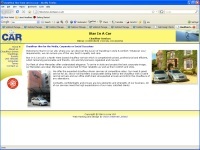 This site was constructed for a North West based chauffeur service who wanted a completely fresh look for their site. The work also included a certain amount of search engine optimisation which resulted in some very good search engine positions bringing in extra work for the client's business. 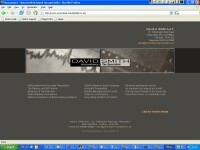 The site owner, David Smith is an accountant who aims his service towards the small business owner or company director. This includes accounts preparation, tax returns, VAT and book keeping advice.